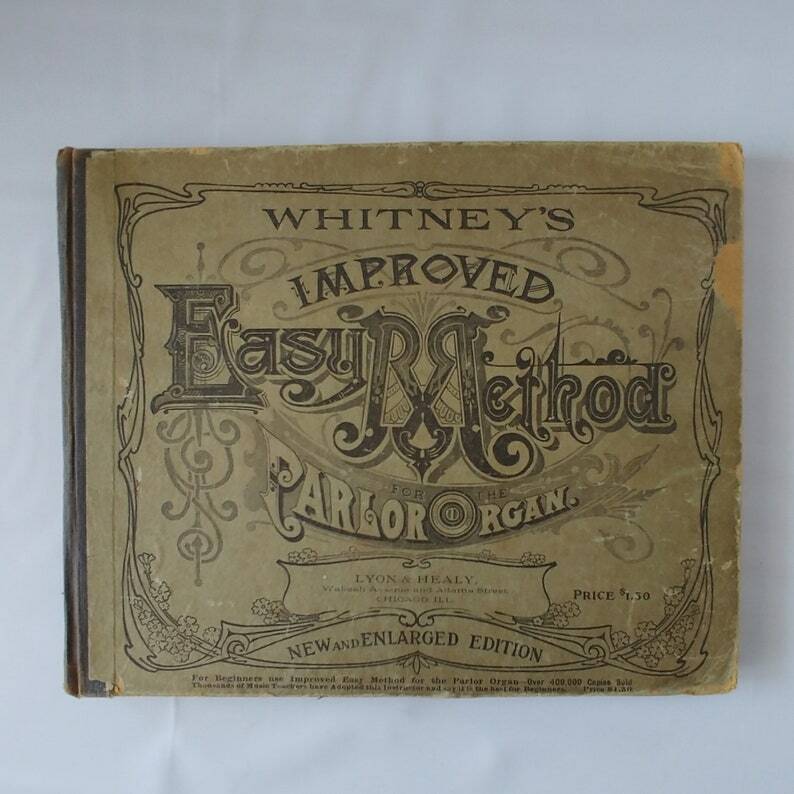 The beautiful typography displayed on the cover of this hardbound organ music book is amazing. Inside the aged cover are perfectly aged pages containing instructions, practice lessons, and sheet music. The book, by Lyon & Healy of Chicago, Illinois, is labeled the "new and enlarged edition" and states it is for beginners use of the improved easy method. The book is 11.5 inches wide by 9.5 inches tall and .5 inches thick. CONDITION: The 100-page music lesson book is in well-loved antique condition with wear and tear on the spine, edges, and pages. There is handwriting in pencil on a few pages and a corner torn from one page.